Description : Download Bulk SMS Software – Professional to send group text SMS, notifications as well as reminders. SMS sending program easily sends group SMS from computer using GSM, Windows, Android mobile phones or USB modems. 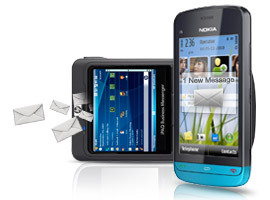 Broadcast bulk text messages from PC on any global mobile phone network. Supports any USB modems, Android, GSM or Windows based mobile phones. No internet gateway is required to send sms. Click here to know how Bulk SMS Software – Professional work. Click here to place order for Bulk SMS Software – Professional . Click here to read more about Bulk SMS Software – Professional.